My name is Dustin and I just finished my first app and submitted it to the Google Play Store! Initially it was done as a part of my university course, but I improved it a bit to make it accessible for more people as I think some might enjoy it! It's basically an app that offers you to connect to either Google Fit oder Withings. 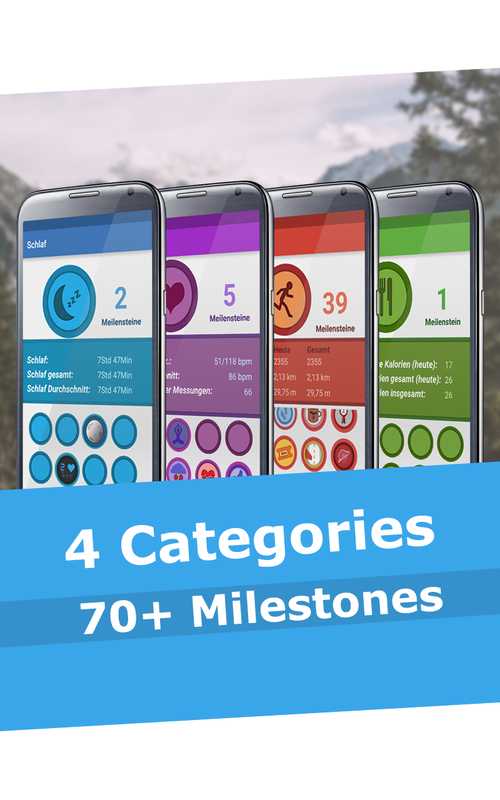 You can earn badges and milestones for your collected data or simply have a quick look at what you already achieved (in terms of milestones and simple details). I'm from Germany, so my english is not the best, but I tried to translate everything as good as I could. Not a single one? :/ Please try it out!